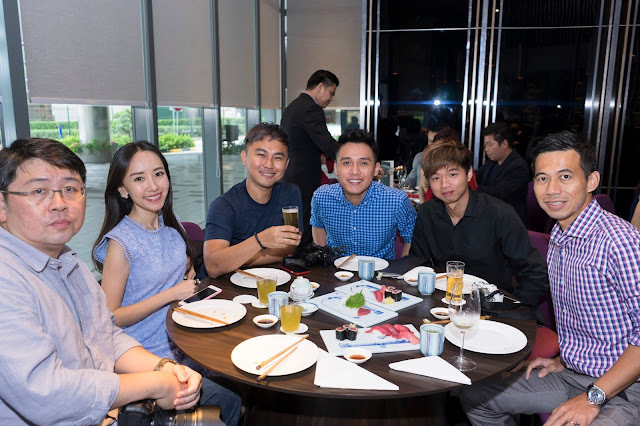 I was extremely lucky to be one of the chosen few to attend the media briefing of a New Membership Services Club, Sky Premium on 31 Aug 2016. 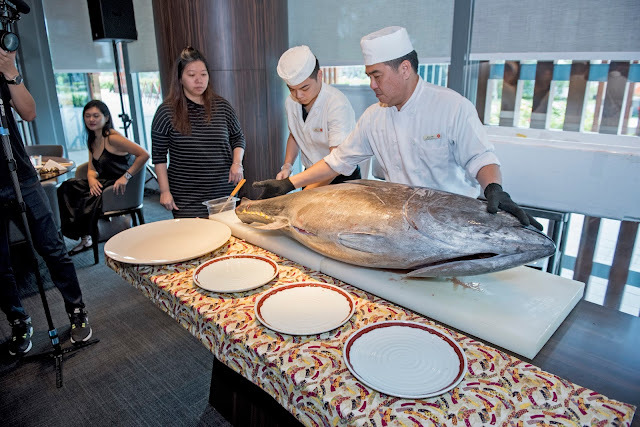 When I received the invitation, I was very curious about what Sky Premium offers and at the same time, I looked forward to one of the highlights of the program, which was a live demonstration of the Bluefin Tuna Cutting Ceremony. I gotta admit that I have never seen a bluefin tuna fish before and to cut it up, I reckoned it requires many years of experience and acquired skills to do it properly. And I was so glad that I took time off to attend this very exclusive and interesting media briefing to learn more about Sky Premium. A must-have photo at the photowall! I also bumped into my blogger friends like William and Leong and Derrick, who took most of the photos in this blog post. Thanks Derrick for the photos! 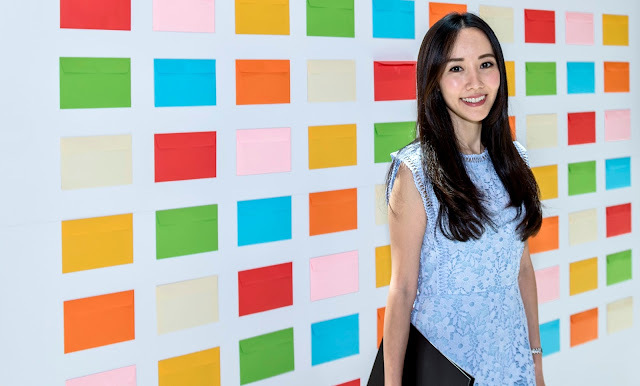 Notice all the different coloured envelopes on the photo wall? 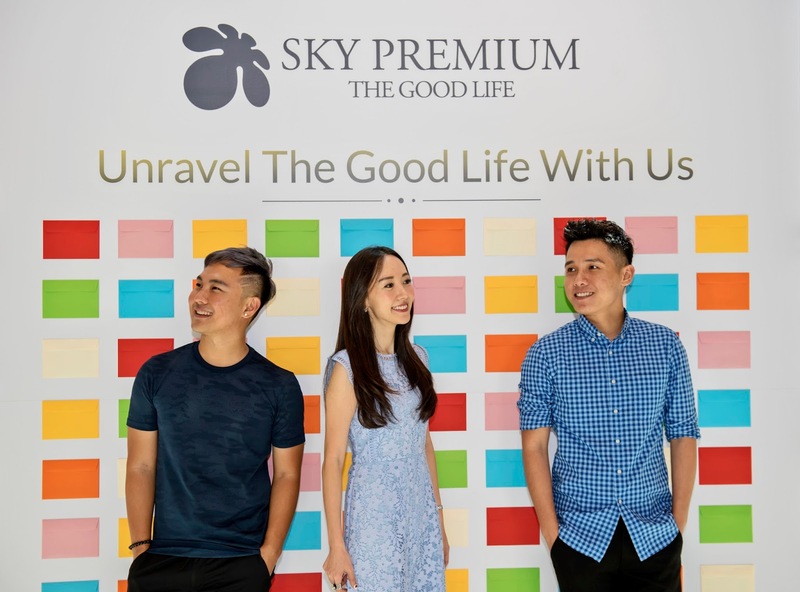 In line with Sky Premium’s philosophy of being connected under one sky with one common theme for The Good Life, media friends also had a chance to pick out exciting privileges from a photo wall, unravelling their very own experience of The Good Life. Lucky me got a one night staycation in Wanderlust Hotel… woohoo! Thanks Sky Premium for this awesome doorgift! Sky Premium is the country’s first members’ exclusive privilege services developed to enrich the lives of members across the globe. 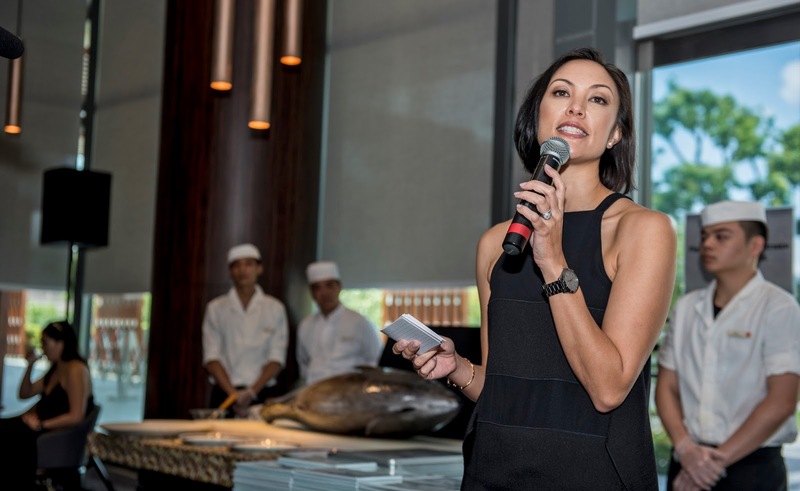 Pushing the boundaries beyond luxury travel, wellness and unique dining experiences, Sky Premium presents to members a cohesive platform with their comprehensive partners and solutions, for all to enjoy the better life. Partnering with selected esteemed brands and merchants to offer an insider list to exclusive closed-door events, fashion shows, premium sake tastings as well as access to an array of networking opportunities and business facilities. The sky is the limit as Sky Premium’s comprehensive solutions promises a dedication to an intimate high in the sky, customized for every member’s lifestyle preferences to indulge in the good life. 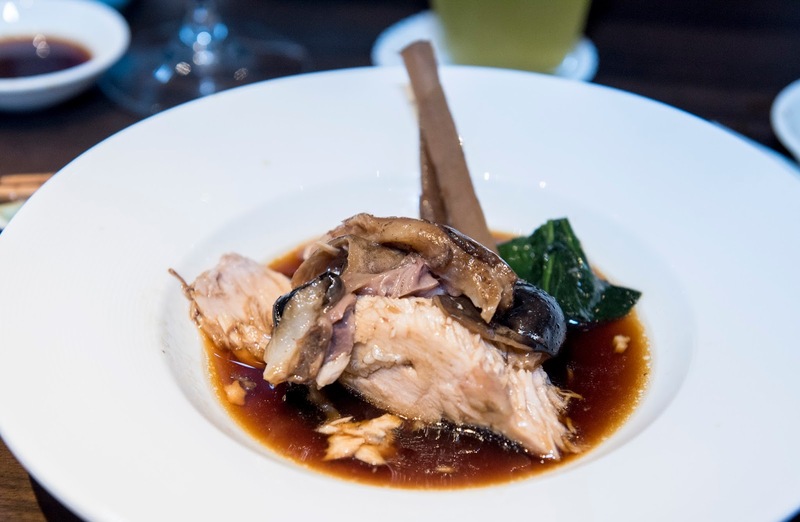 The media briefing of Sky Premium, a brand new membership services club in Singapore, was held at the Japanese food enclave at Takujo Japanese Dining @ Emporium Shokuhin on 31st August 2016. Sky Premium International’s inauguration of their new membership services club is poised to be launched in Singapore in Q4 2016. 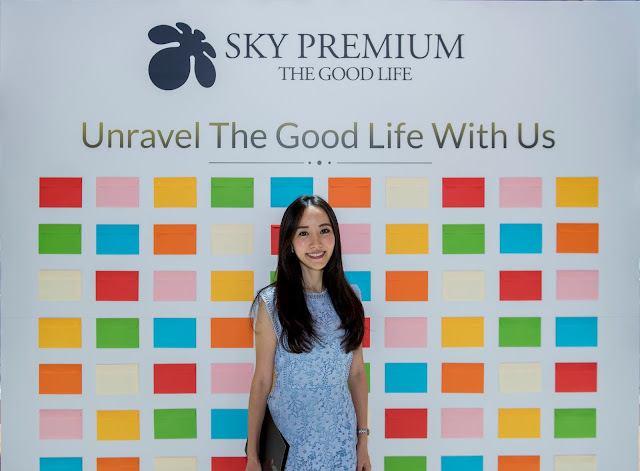 Catering to a growing pool of individuals looking to revel in unparalleled luxurious experiences, Sky Premium is one of the few members’ exclusive privilege services developed to enrich the lives of members across the globe, providing personalised lifestyle experiences to indulge in The Good Life. The emcee for the media briefing was Jaymee Ong. She is still as beautiful as ever, even after giving birth to a daughter. 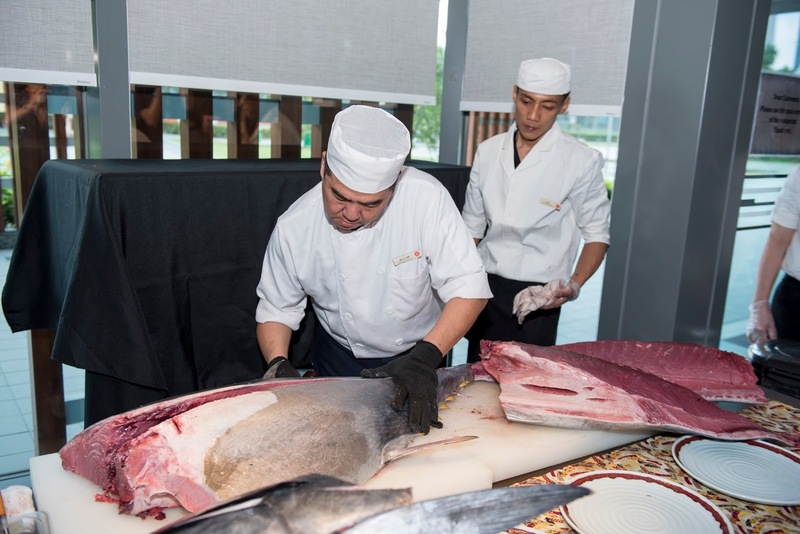 The event saw a live presentation of a Bluefin tuna cutting ceremony where guests, partners and media friends got a glimpse into one of the many luxurious experiences Sky Premium has to offer. Immersing in an afternoon reflective of The Good Life, Sky Premium delighted guests with a presentation of the Hon Maguro, also known as the Bluefin tuna cutting ceremony. 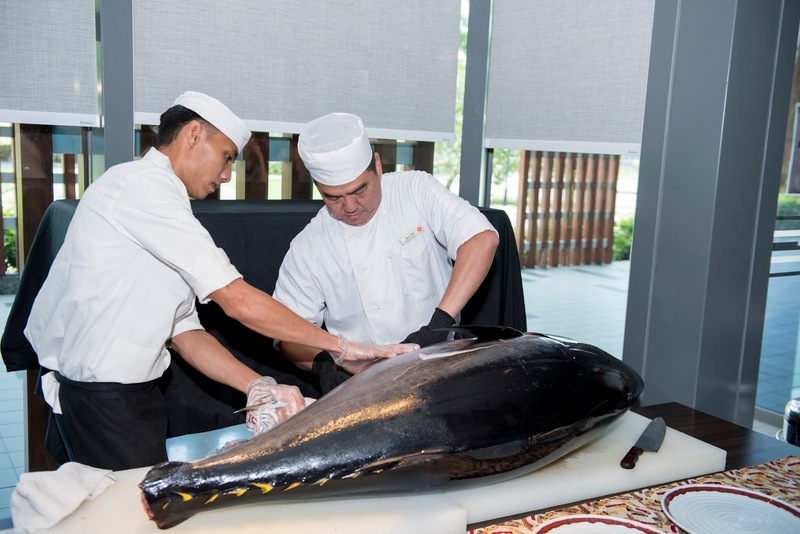 Weighing at a whopping 60kg, the tuna was air flown from sustainable sources in Uwajima prefecture, Japan, where the Maguro cutting was then performed with utmost skill and precision by Chef William Teo, head chef of Takujo Japanese Dining at Emporium Shokuhin together with his expert team of chefs. 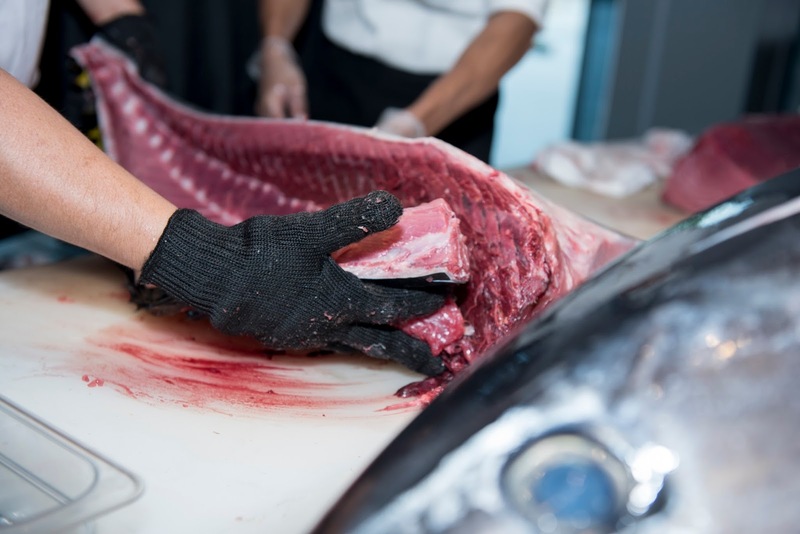 Utilizing four different sets of highly specialized knives to fillet the tuna, including one that resembles a samurai sword, the delectable Hon Maguro was artfully plated for guests in a platter of sashimi, sushi, maki and a 6-hour braised tuna head. 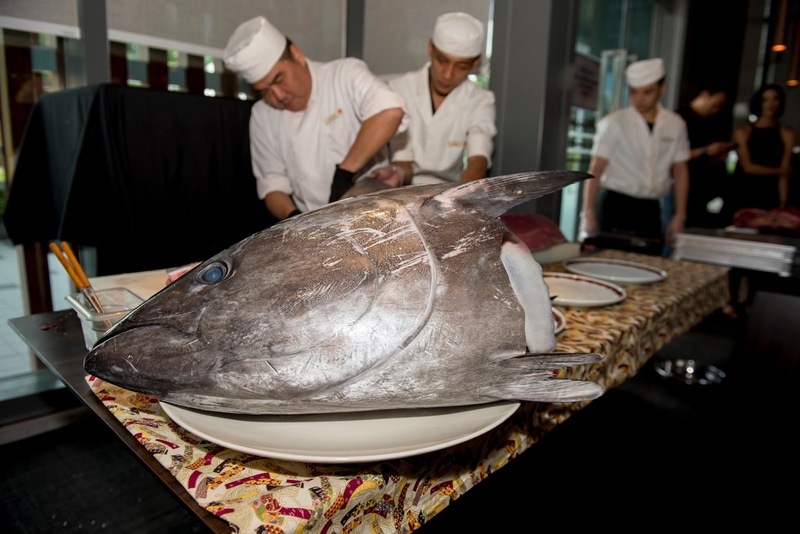 Just look at how enormous the bluefin tuna was! It took two men to handle it. 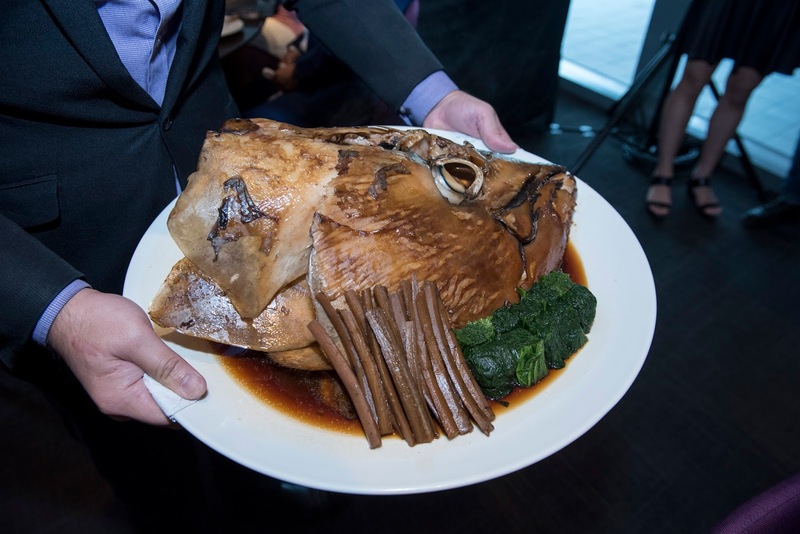 That very important fish head that will braised for 6 hours! Always great to be seated with a group of friends for lunch and this time round, these are my media friends. From left: Derrick, myself, William, Leong, Jonathan and Jin. 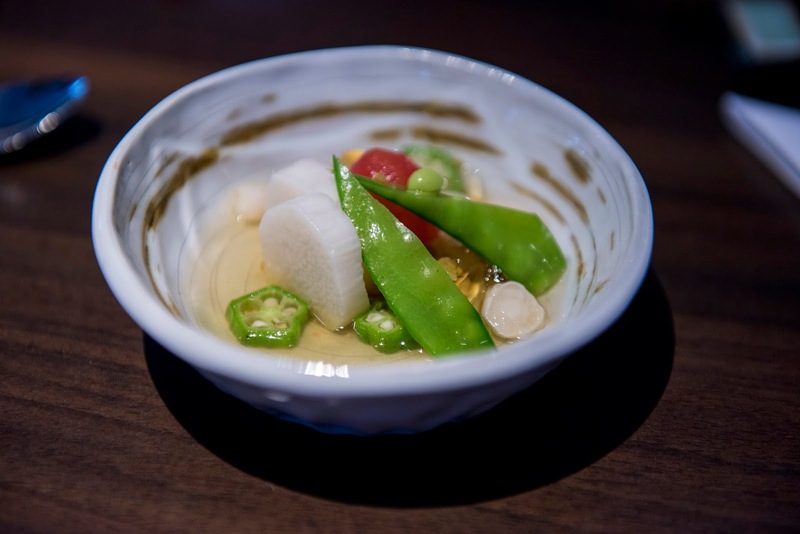 We started off with an appetiser which was light on the palate as it comprised of vegetables. 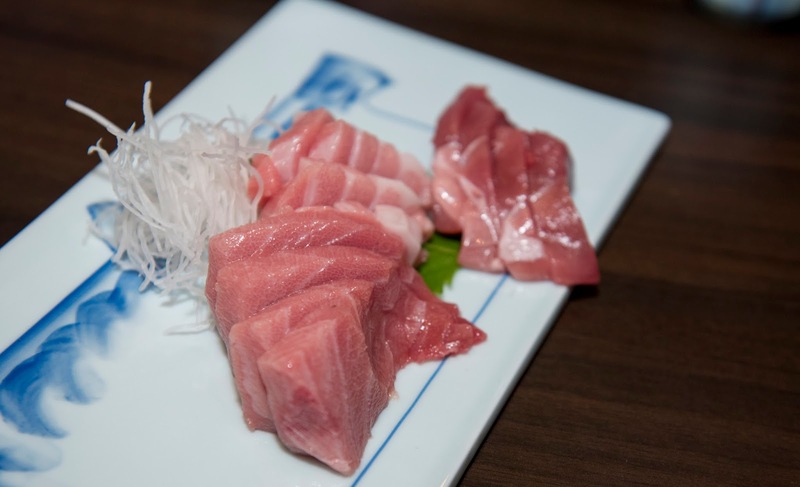 Next up is the star of the lunch menu… bluefin tuna! 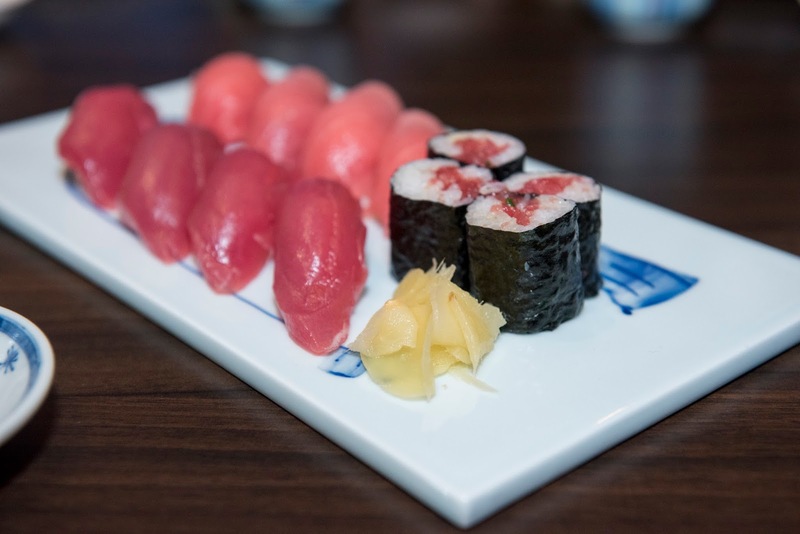 Sakae is a must have with Japanese food! Trying a rose sakae based on the recommendation from the server. 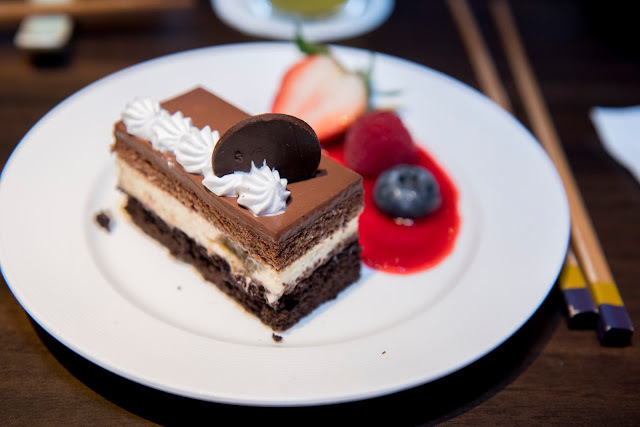 It has a tinge of sweetness so I reckoned it would be popular with the ladies. 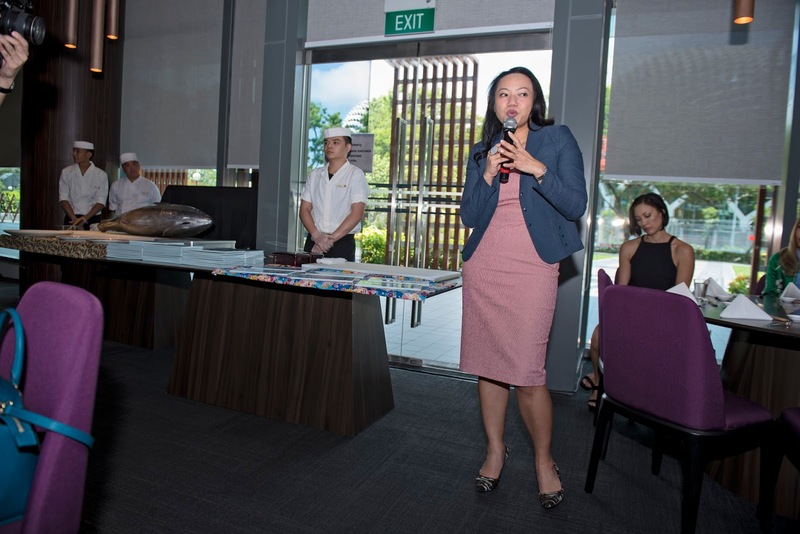 I also had the chance to chat with Ms Margaret Koh, General Manager of Sky Premium. She took the effort to work to our table to introduce herself and let us know more about Sky Premium. 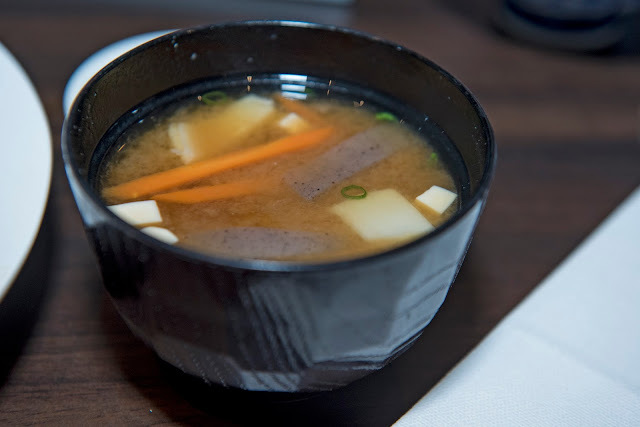 That was when I found out that Sky Premium is also in Tokyo Japan, one of my favourite cities! 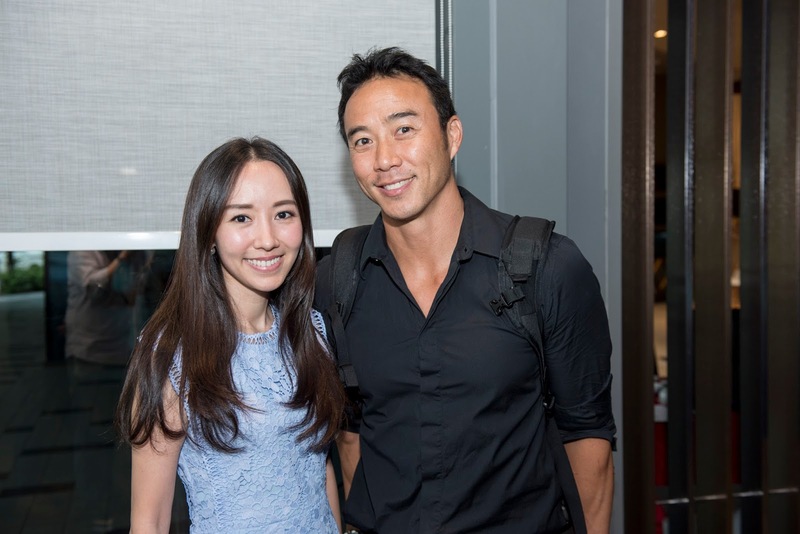 Panel advisors of Sky Premium, Allan Wu, renowned celebrity in Southeast Asia; and fashion- forward lawyer, Tan Min-Li, also warmly welcomed guests during the media briefing session. Pushing the boundaries beyond luxury travel, wellness and unique doing experiences, Sky Premium presents to members a cohesive platform with their comprehensive partners and solutions, for all to enjoy the better life. 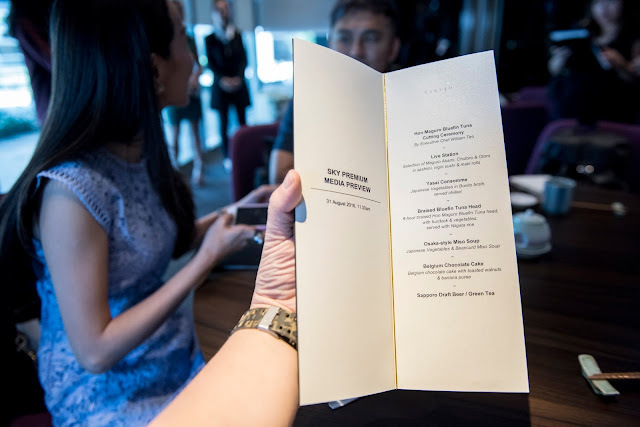 At Sky Premium, the brand delights in creating The Good Life, be it in the form of a gastronomic culinary delight, a cruise to the Antarctica, or invites to closed door events and exclusive product launches. Offering a robust level of personalised experiencs, Sky Premium listens to members’ preferences to deliver a customised itinerary that meets their unique needs, giving members the luxury and balance of time to chase the horizon at every opportunity. Sky Premium offers that personalised service with a dedicated member service team to assist at every touch point, ranging from providing recommendations to reservation services through consistent, high quality performance and service. Members can look forward to enjoy preferential rates from esteemed brands and merchants from more than 40 travel destinations, dining, fashion and wellness such as FJ Benjamin, Karma Resorts, Oceania Cruises, Regent Seven Seas Cruises, Antarctica XXI and an umbrella of brands under the UNLISTED COLLECTION & Banyan Tree Hotels & Resorts. If you want to learn more about Sky Premium, visit www.skypremium.com and enjoy THE GOOD LIFE now!